The close-coupled e-90 centrifugal in-line pump is designed specifically for HVAC markets. It is now also available with highly efficient optional ECM motors as stock part numbers. These variable speed motors with motor-mounted interface adjust motor speed to match flow and head requirements, thus substantially reducing power consumption. The user interface allows for manual adjustment or controlled remotely via 10 VDC input/output. 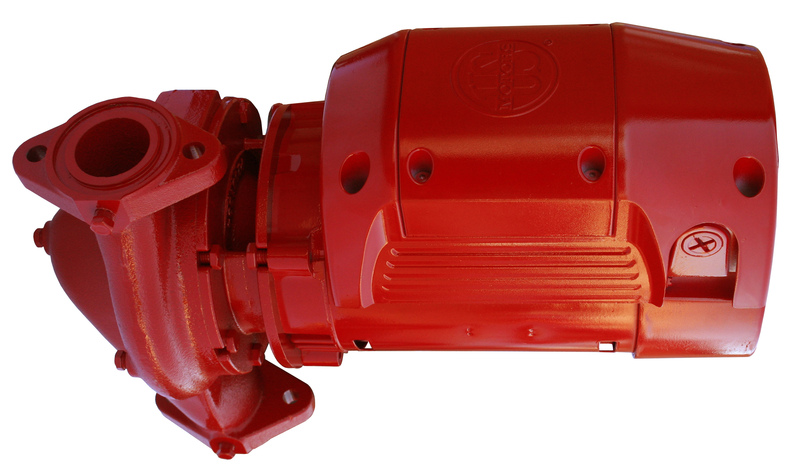 Series e-90 pumps with ECM motors are not only more efficient than their standard induction motor counterparts, they are quieter, vibrate less, and have a lower total lifetime cost of ownership. 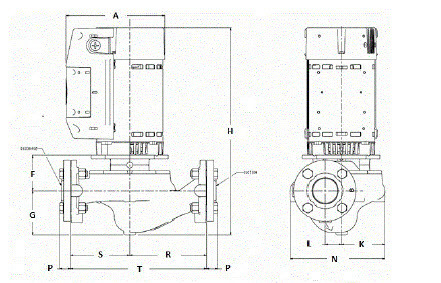 The Series e-90 can be installed in either horizontal or vertical applications. The new robust EPR/carbon/silicon carbide mechanical seal lowers maintenance and increases the life of the pump. This pump is rated for 250°F and 175 PSI and is perfect for chilled water loops or heating water loops in commercial hydronic systems.